Briefly defined, plagiarism is using the work of someone else without giving credit. 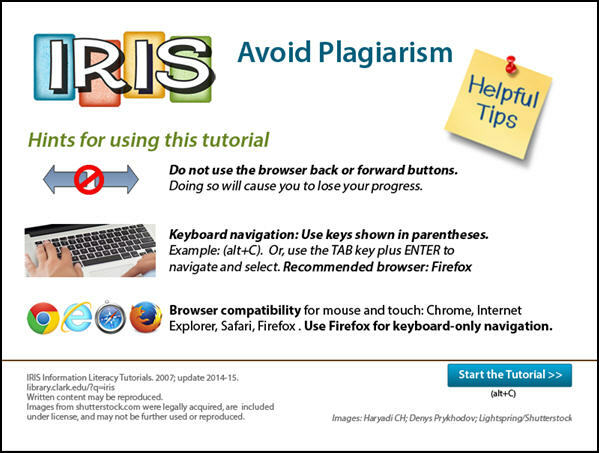 The consequences of plagiarism can be severe, but it's easy to avoid plagiarism if you take time to learn the rules. This web-based interactive tutorial takes about 20 minutes to work through. This is the four-page blue "cheat sheet" with lots of examples of citing books, articles and websites.